The 2010 version of Sitebuilder ProGolf has now been launched across the UK and Ireland by The Edge Studios in Ayrshire. 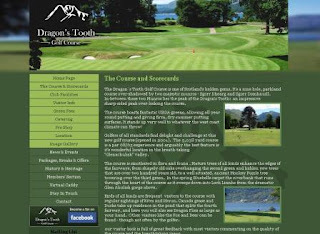 While doing work on the website design package and had another look at Lawrence Young's Dragon's Tooth Golf Course site again. He's got a nine hole course next to the Balluchulish Hotel near Fort William yet the site content, imagery and tone shows up many larger operations. His understanding of the need to showcase his product made developing the site a pleasure and by choosing to use Sitebuilder ProGolf ha can manage his content, imagery, video footage and social media.